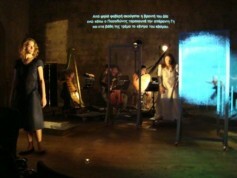 A year on from A voyage into the Levant, which brought together the work of John Dowland and Ottoman music, Latinitas Nostra return to the OCC to perform “…for I will soon be laid in the earth…”, a musical journey which provides a bridge connecting Louis XIV’s Chapelle Royale with the hashish and bouzouki joints of ‘Twenties Piraeus. 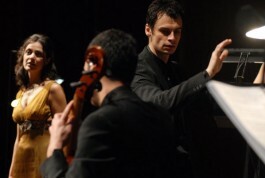 This time round, Latinitas Nostra set out to explore the 17th-century sacred music of the French Baroque, and above all the Leçons de ténèbres (Readings of Darkness). Along the way, they will encounter rembetiko and the amanes in a musical narrative awash with Passions both human and divine. What they seek in these two seemingly very different genres are the shared sound and mood that both unite and divide them. The melismas on the Hebrew letters that introduce each of the Leçons, one of the most emblematic musical texts in the Catholic sacred repertoire, are distantly related to those sung on the word ‘Aman’ [Alas] in the amanes and evoke the same bittersweet feeling through song. A unique aural journey very much in tune with the devotional spirit of Easter week. 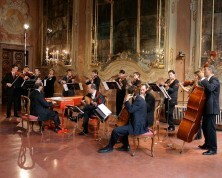 The programme includes works by François Couperin, Michel Richard Delalande, Sébastien de Brossard and other composers.